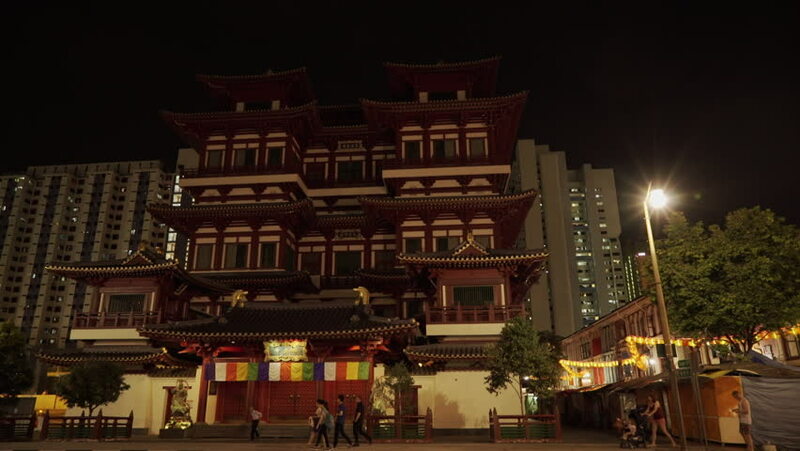 Singapore, March 2015: Chinese Buddha Tooth Relic Temple, panning right to Chinatown heritage street. 4k00:11Las Vegas, Nevada, USA - January 04, 2017: Circus Circus hotel and Casino in Las Vegas. The casino features circus acts and midway entertainment, as well as a theme park.